A common misconception is that many people think anyone labeled as colorblind only sees black and white. While it’s extremely rare to be totally color blind there are many different types and degrees of colorblindness - more correctly called color vision deficiencies. With color blindness, you have difficulty distinguishing certain colors, such as blue and yellow or red and green. Red-green color deficiency is the most common form of color blindness. If you develop color vision problems when normally you have been able to see a full range of colors, then you should schedule a comprehensive eye exam with your eye doctor. Color blindness is an inherited condition that affects males more frequently than females. According to Prevent Blindness America, an estimated 8 percent of males and less than 1 percent of females have color vision problems. Color blindness can occur when one or more of the color cone cells are absent, nonfunctioning, or detect a different color than normal. Cones help you to distinguish the colors red, green, and blue. Severe color blindness occurs when all three cone cells are absent, and mild color blindness occurs when all three cone cells are present, but one cone cell functions abnormally to detect a different color than normal. Most color vision problems that occur later in life are a result of disease, trauma, toxic effects from drugs, metabolic disease or vascular disease. Disease-specific color blindness often affects both eyes differently, and the color vision defect usually gets worse over time. Acquired color vision loss can be the result of damage to the retina or optic nerve. Currently there is no treatment for congenital color blindness. It usually does not cause any significant disability. However, there are special contact lenses and eyeglasses that may help people with color blindness tell the difference between similar colors. Acquired forms of color blindness may be treated by addressing the underlying condition or drug that caused the problem. 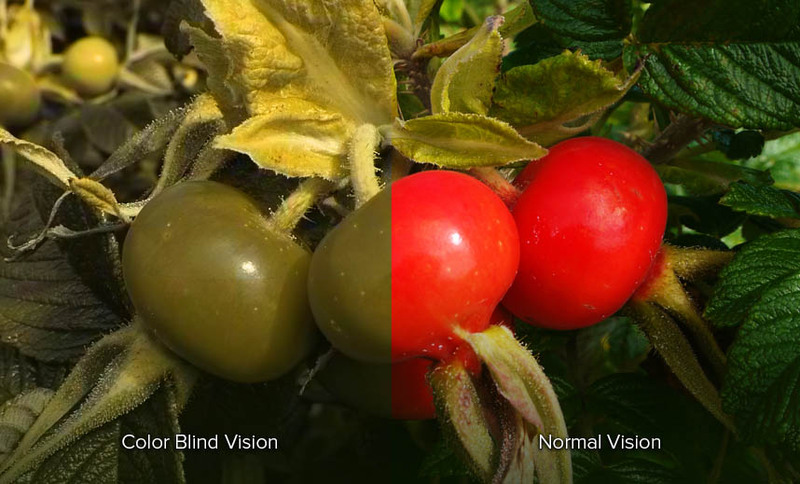 For more information on color blindness please visit AllAboutVision.com.